To sustain our competitiveness in this new global economy, we must maintain efficient and vibrant capital markets and ensure reliable and high quality financial reporting. This is crucial for investors who are the end users of financial statements. But do we really know what investors need from financial statements? What do audit committees, company’s management, financial statements preparers and auditors need to do to maintain the strength of financial reporting in Singapore? This is the focus of this year’s Singapore Accountancy Convention. For the first time, the national accountancy body, the Institute of Singapore Chartered Accountants (ISCA) and the Accounting and Corporate Regulatory Authority (ACRA) are coming together to jointly organise this event, which incorporates ACRA’s annual Public Accountants Conference. Singapore Accountancy Convention 2016 offers leading accounting professionals, business leaders and directors, the opportunity to glean crucial insights and discuss key issues impacting the accounting landscape in Singapore. Unveiling of findings from a perception study on retail and institutional investors’ views on the value of financial statements and audits. Discussion with representatives from investors groups, audit committeesand the audit profession on the study’s findings in a panel session. Release of ACRA’s 2016 Practice Monitoring Programme (PMP) inspection findings. Enhanced auditor reporting: Hear first-hand, the early adoption experience from a listed company and its auditor who will share insights on the implementation process, challenges faced, and pitfalls to avoid. Financial Reporting Standards (FRS) 116 Leases: Tap on industry experts who will share their perspectives on this new accounting standard. Find out the anticipated changes in business trends and behaviours, which industries will be most affected, and how preparers and auditors can ready themselves for this transition. Fair value accounting: Explore the reliability and usefulness of fair-value accounting, which is subjected to rigorous debate globally, through a survey conducted by ISCA and the Singapore Management University. Ethics: Stay updated with the latest developments on the ethics front, including responding to non-compliance with laws and regulations (NOCLAR), long association between auditors and their audit clients, and anti-money laundering and countering financing of terrorism. Tax: Listen to various perspectives on how companies – both big and small – could stay ahead as governments adopt and implement Base Erosion and Profit Shifting (BEPS) Project measures - but with different focus and at different pace. 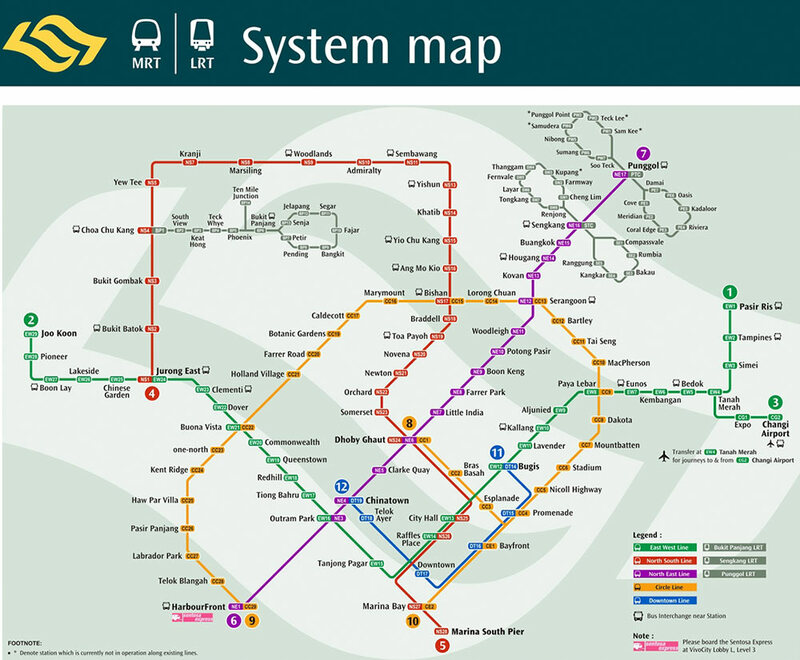 Use Exit D to leave the Bayfront MRT Station and enter MBS. Take the escalators from Basement 2 to the Concierge on Level 1 at the Sands Expo and Convention Center. From there, take the escalators to the ballrooms on Level 4. Alight at the bus stop immediately in front of the Sands Expo and Convention Centre, and proceed towards the Concierge on Level 1 before taking the escalators up to the ballrooms on Level 4. Cars may enter via Bayfront Link to the South Car Park. Take the lift to Level 1 and take a 3-minute walk towards the Sands Expo and Convention Center. From the Concierge at Level 1, take the escalators up to the ballrooms on Level 4. For more details on parking locations and rates, visit Marina Bay Sands' website. For Conference Participants who park at MBS, a limited number of complimentary parking coupons will be provided. The coupons will be provided on a first-come-first-served basis to participants who request for them at the registration desk as they register to attend the conference. Participants who are not able to obtain any of the complimentary parking coupons can purchase coupons at the special rate of S$8.00 per day, from the Business Centre (Level 3). Investors help drive a vibrant capital market and they use financial information to make investment decisions. This session will share the perspectives of both institutional and retail investors on their views about the importance of reliable financial information and which aspects of financial reporting can be improved. Representatives from the accountancy and business communities will share their views on the roles and responsibilities of each stakeholder in giving assurance to investors on the quality and reliability of financial information. ACRA will highlight key issues and trends observed through its Practice Monitoring Programme. This session will share an early adopter’s experience of the enhanced auditor’s report for a listed company, including the implementation process and challenges faced. The Accounting Standards Council issued the new leases standard FRS 116 in June 2016 to replace the existing FRS 17. This presentation plans to highlight the key changes in this standard. The panel discussion draws on results from an ISCA-NTU study focusing on organisational readiness, challenges in implementation and the expected changes in business trends and behaviours as a result of this standard, and also discusses which industries are most affected and what should preparers and auditors do to get ready for the transition. Through this session, delegates will learn about the latest key international developments in ethics. Topics covered include provisions on responding to non-compliance with laws and regulations (NOCLAR), proposed changes to the provisions on long association between auditors and their audit clients and key aspects of anti-money laundering and countering financing of terrorism. There is vigorous debate about the reliability and usefulness of fair-value accounting. The issue of trust is an important one in accounting because the value of accounting lies in the trust in the disclosed numbers. To what extent do the auditors, preparers and users of fair value accounting numbers trust these numbers? The results of a recent survey will be shared. A new era has dawned and it is here to stay. With the publication of the final package of measures of the Base Erosion and Profit Shifting (BEPS) Project, governments have started to adopt and implement BEPS measures - but with different focus and at different pace. This session offers various perspectives on how companies – both big and small – could rise above these changes and stay ahead above the swells of implementation and compliance this new era brings. Amounts indicated above are not inclusive of GST. Final amount with GST will be reflected upon checkout. Cheque payment is preferred. Bank charges might be incurred if credit card payment is chosen. Kindly contact enquiries@singaporeaccountancyconvention.sg if you incur these charges. If you have selected 'Cheque' as your mode of payment, please issue your cheque in favour of "Institute of Singapore Chartered Accountants" and mail it to 60 Cecil Street, ISCA House, Singapore 049709. A confirmation email with your registration details and invoice is sent automatically after the submission of your registration. Please contact enquiries@singaporeaccountancyconvention.sg if you do not receive the email. Early Bird rates are only valid till 30 June 2016. Each group registration must include at least 1 ISCA Member. Participants in each group registration must be from the same company. Group registration rates apply to transactions with a minimum of 3 packages / tickets for the same package / ticket. Registrations have to be made in one transaction to enjoy the group purchase prices. Additional registrations at the group purchase price are not allowed once the transaction is completed. There will strictly be no refunds for any cancellations or no-shows. Replacements are allowed, up to 3 working days before the event. Please email enquiries@singaporeaccountancyconvention.sg for replacement requests. A letter of attendance will be issued manually by ISCA after the Convention. ISCA members are required to enter your CPE hours for the Convention into your membership portal for audit purposes. to our partners and sponsors for supporting the Singapore Accountancy Convention 2016. For more information, please feel free to drop us a message here, email us or reach us at our hotline.